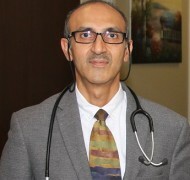 Dr Arkam Rehman is a Board Certified Physical Medicine & Rehabilitation Physician with sub specialty board certification in Pain Medicine, who has extensive training & experience in treating spine and other musculo-skeletal/ sports related pain problems including headaches & migraines. Paul Steinke, PA-C, is a Board Certificate Physician Assistant, Licensed in the state of Florida. 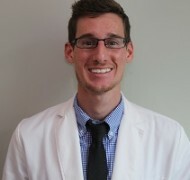 He obtained his Masters in Physician Assistant Studies at Methodist University in Fayetteville, North Carolina, where he wrote a thesis on hip replacement techniques. He is certified in Botox administration for chronic migraines. Paul, with his wife Kayla and dog Baxter live in Green Cove Springs. In his spare time he enjoys running, cycling, and water sports. 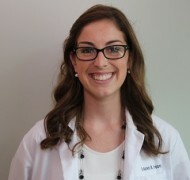 Lauren Copley, PA-C, is a Board Certified Physician Assistant, Licensed in the state of Florida. She is certified in Botox administration for chronic migraines. She obtained her Masters in Physician Assistant Studies at Shenandoah University in Winchester, Virginia. She is originally from Hampton, Virginia, and recently relocated with her husband, Drew, to Jacksonville, Florida. In her spare time she enjoys spending time outdoors and volunteering with the youth group at her church. 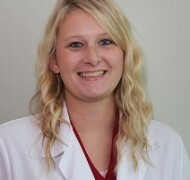 Lindsay Mitchell, FNP-BC, is native to Jacksonville, Florida. She graduated with her Masters in Nursing as a Family Nurse Practitioner from South University in September of 2015. 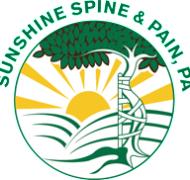 Originally, Lindsay worked as a medical assistant here at Sunshine Spine and Pain, PA from 2007 until 2010. She graduated in 2011 from Chamberlain College of Nursing in Jacksonville, Florida at the top of her class with her Bachelors of Science in Nursing. She then went on to work for St. Vincent’s Medical Center in Jacksonville working as an ER nurse until 2013. in 2013, Lindsay returned to Sunshine Spine and Pain, PA to work as a registered nurse. Lindsay is Board Certified through American Association of Nurse Practitioners and is also a member of Sigma Theta Tau, National Honor Nursing Society.